The online workshop "HOW TO PAINT LIKE REMBRANDT" starts on the 16th of MAY 2016 and takes TWO WEEKS. 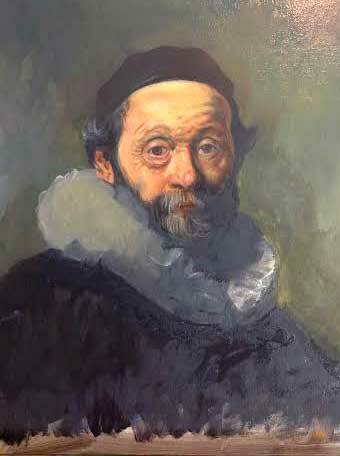 During two weeks we will work together under my supervision and our common aim will be to learn how to paint like the great master of the past Rembrandt Van Rijn. 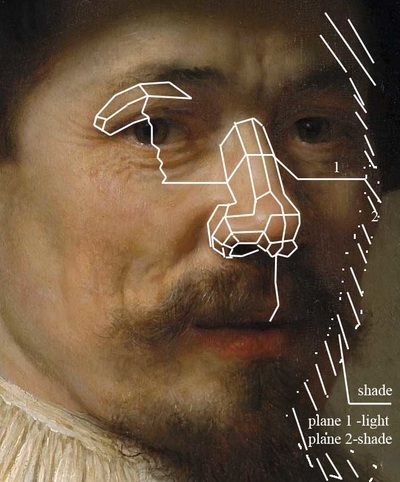 ​I know many of painters admire Rembrandt and would like to find more information about his technique. I have been copying Rembrandt and his techniques since I started to paint and study in the Academy of Fine Arts and now I am looking forward to share my knowledge with you. As you are many and I am only one I will not be able to teach everyone personally. But every day I will send the same email to each of you where I will give new instructions and explanations, talk about common mistakes and show on some of your paintings how to correct it or how to avoid making new ones. You will be able to send your questions to me and I will answer them (one email every day) where I will answer most popular and difficult questions of yours and demonstrate examples with the corrected mistakes based on the pictures you send me. Down here you can find the plan of our workshop, step by step I explain every stage of painting. 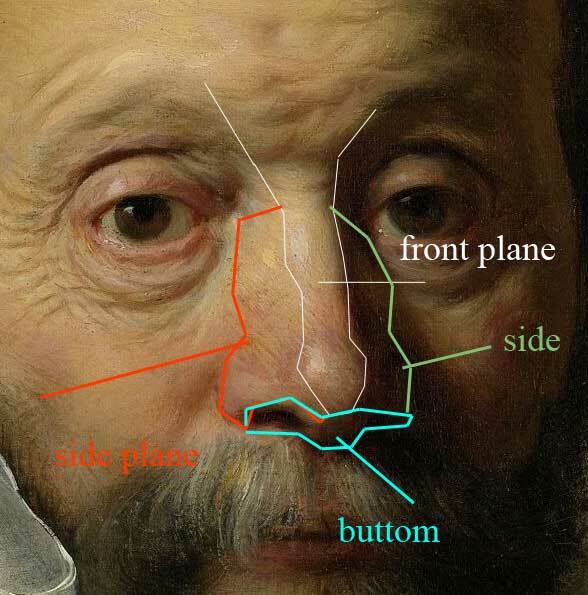 I know it is more helpful to have a video tutorial where you can visually understand what to do and how to get there - that is why you also get for free my video lesson "How to paint like Rembrandt" to download. 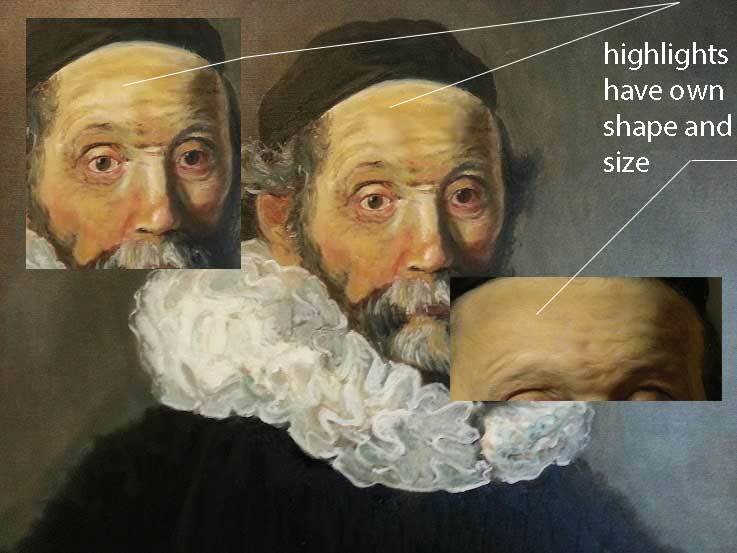 Also with the lesson you will be able to download the picture we are going to use in our workshop - a portrait of a Rembrandt's masterpiece. I know that for many artists it is expensive to pay for private lessons that is why I made this workshop to share the same knowledge as you get with a private teacher but for a lower price. 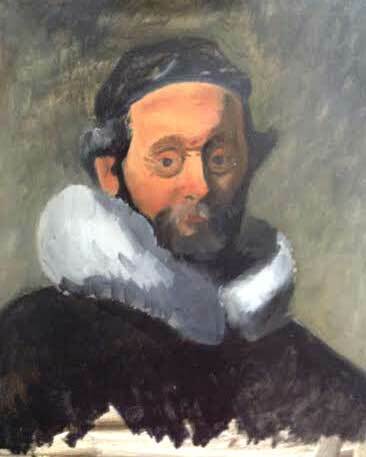 During 1 month I will teach you only for $10 plus you are getting my lesson to download for free and the high quality picture of the Rembrandt's painting. I think it is worth to try. 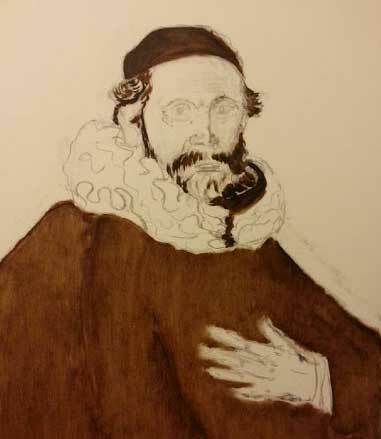 The first step is underdrawing on canvas. For the painting I recommend to use primed and stretched canvas, size 16x20 inches or 40x50 cm. 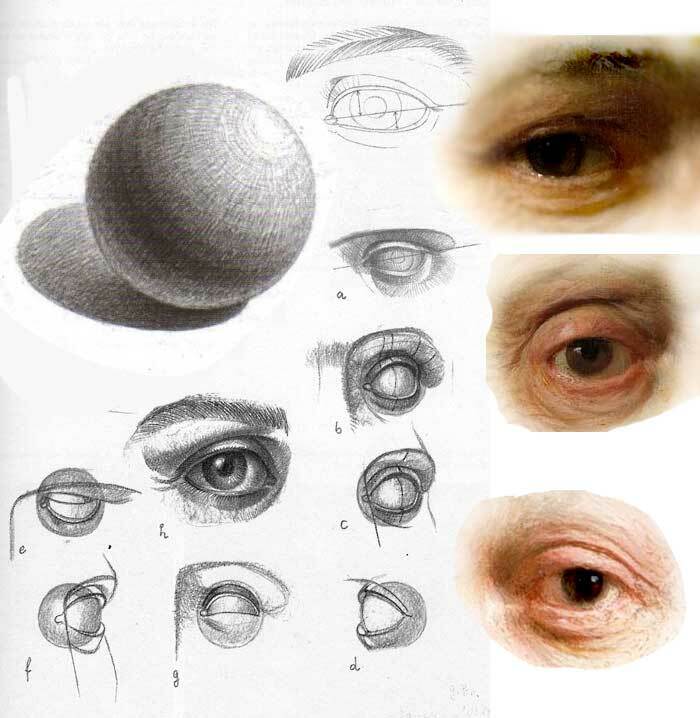 To draw the image we need charcoal - some artists prefer a pencil - but it is much easier to erase charcoal. When drawing please don't forget to check the composition - the head's position should be similar to the original picture. On these small drawings by Rembrandt you can see different ways of drawing - more or less tone, lines, spots. In your canvas drawing you can use tone too - it will help to feel volume of the head. To erase the charcoal use a piece of rag. 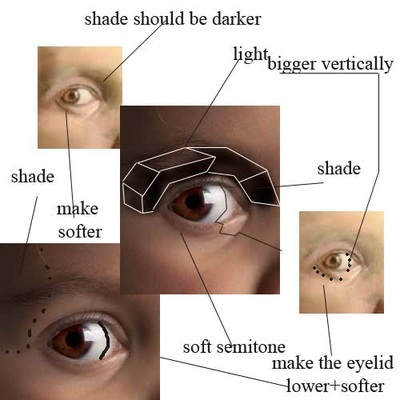 ﻿Shadows on the face with the same color - a perfect way to see the head's volume. 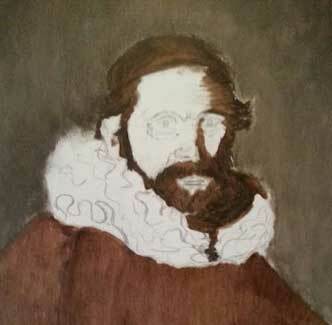 While underpainting we don't use any white paint. When the underpainting is finished and dry we should start overpainting with colours - down here you will find a list of what we need. At this stage you are allowed to use white paint. Don't forget to check the proportions at every stage and care about the resemblance. 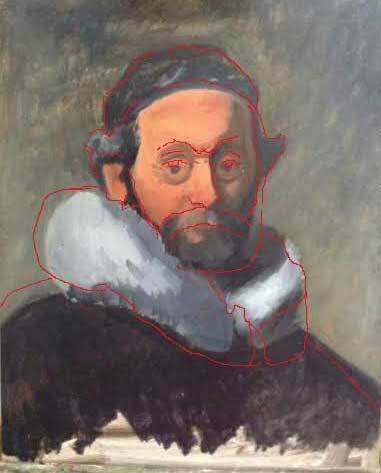 On the pictures you can see an example of a painting made by my student Pierre and my corrections over it with the red marks. As I said I am only one and can't write a personal email to each of you but you can write me and ask as many questions as you need - I will answer every morning and send one email to everyone where I will explain the next step and discuss your mistakes and good sides as well. It will be very helpful to see what people make and look at their advantages and disadvantages - we all learn mostly from mistakes. I will write and also show how to correct your paintings - down here you see some examples of my visual corrections. As we are all from different countries and ﻿have different time zones - it is easier for me to write to you in the morning at 9 pm Msk (UTC+3). I recommend to have these oil paints but you may have also some extra ones like cadmium yellow or sienna raw if you prefer to work with them. Sergey Gusev. Copyright. All rights reserved 2014-2016.